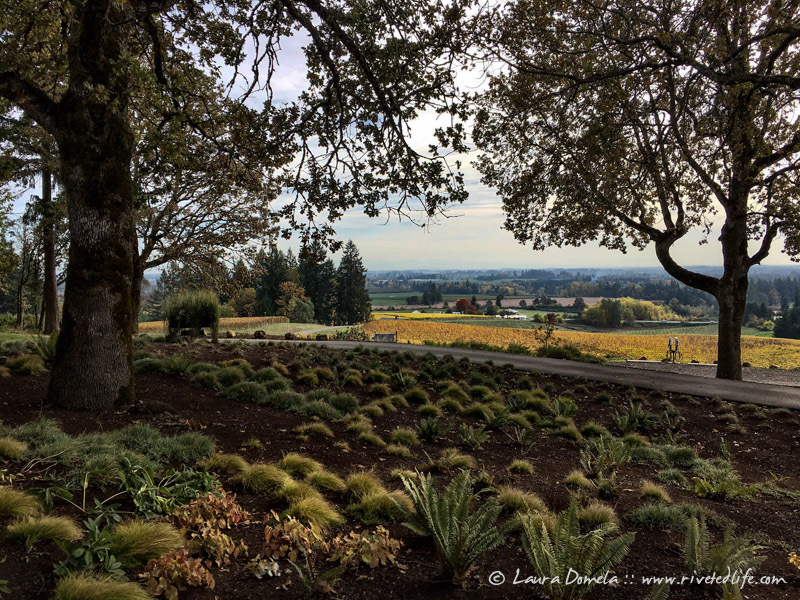 We dusted off the Airstream on Thursday morning and headed down to the Willamette Valley wine country (only a little over an hour from our house in Portland) to meet up with some friends for the weekend. When we got to our RV storage unit, everything was just as we'd left it and there were no big issues. Pretty good after sitting for a year in storage! The tires needed a little air, the clocks needed new batteries, and the fridge light needs a new bulb, but other than that everything was ready to go. 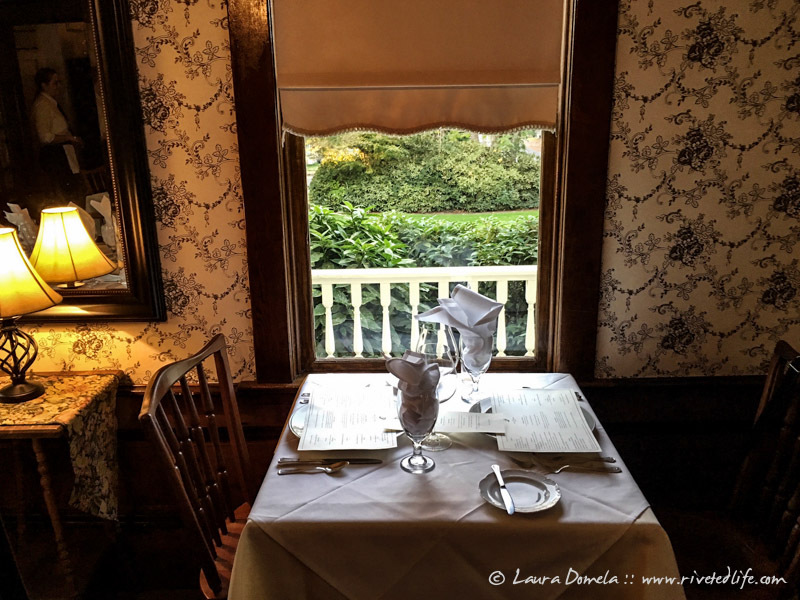 Because this is truffle country, we did the Mushroom Madness tasting menu, and because we're in pinot noir country, we shared a bottle of Methven Family Vineyards Pinot Noir. All was delicious and it was a nice evening. In the morning, we met up with our friend Kathy Hardersen and her son Kyle. 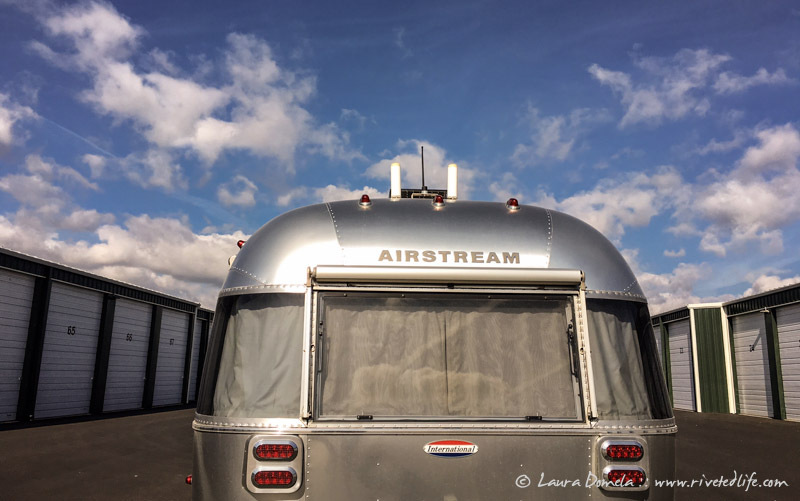 (Kyle just bought a new Airstream International 25' and is parked right next to us, and Kathy left her Airstream at home and is staying here in one of The Vintages.) 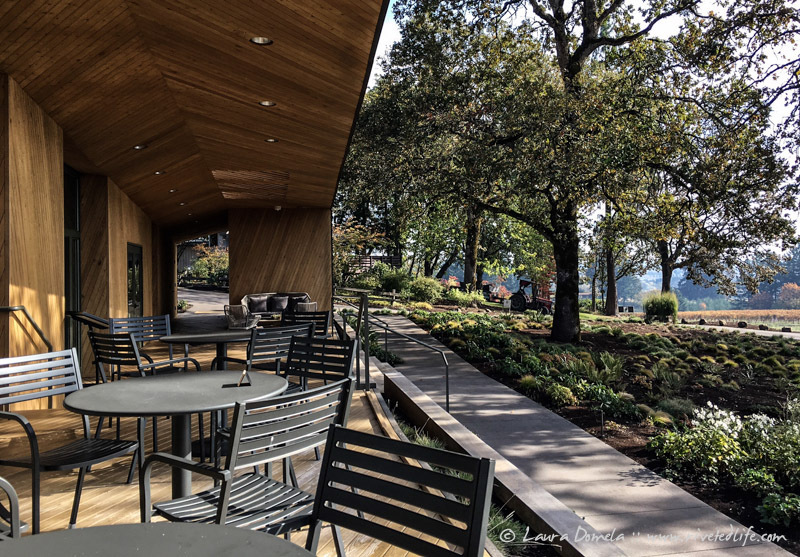 We had breakfast at our trailer, and then went over to Sokol Blosser for some wine tasting on the patio. 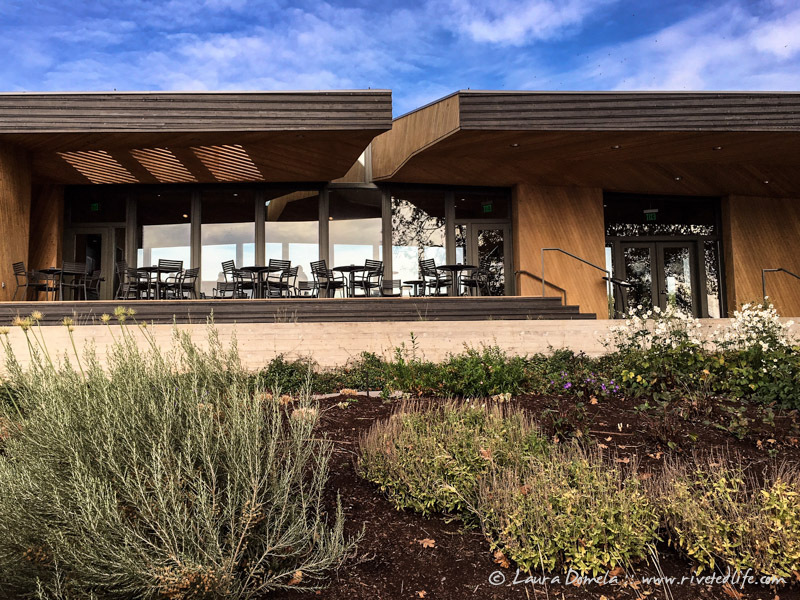 Sokol Blosser has a gorgeous tasting room and patio, and we couldn't ask for better mid-October weather! 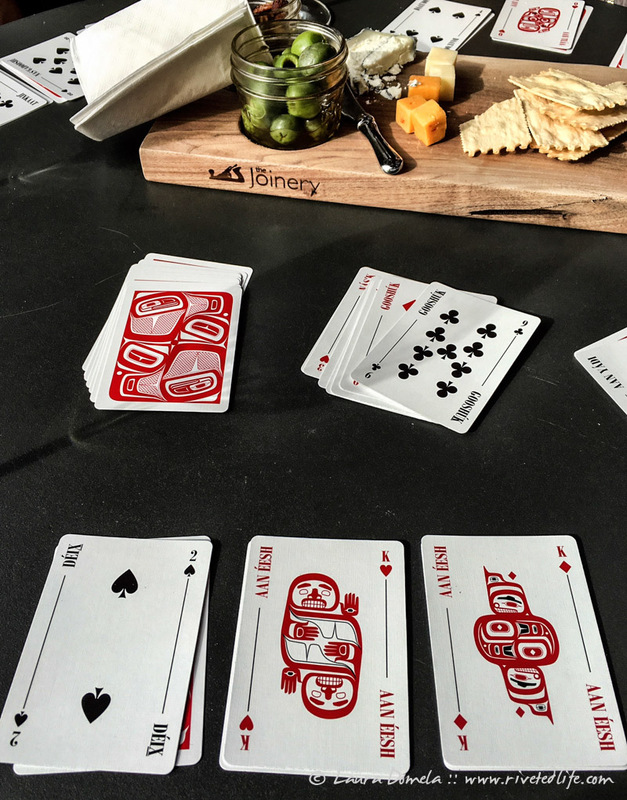 We brought back a deck of cards from the Trickster Company in Juneau, Alaska. This is the Tlingit language edition, and they're fabulous to play with! We had some lunch at the Red Hills Market, then went to Penner-Ash Wine Cellars for another tasting (and met up with more of Kathy's family). I didn't take any photos at Penner-Ash, but they too have a gorgeous place up on the hill with a fantastic view of the valley. 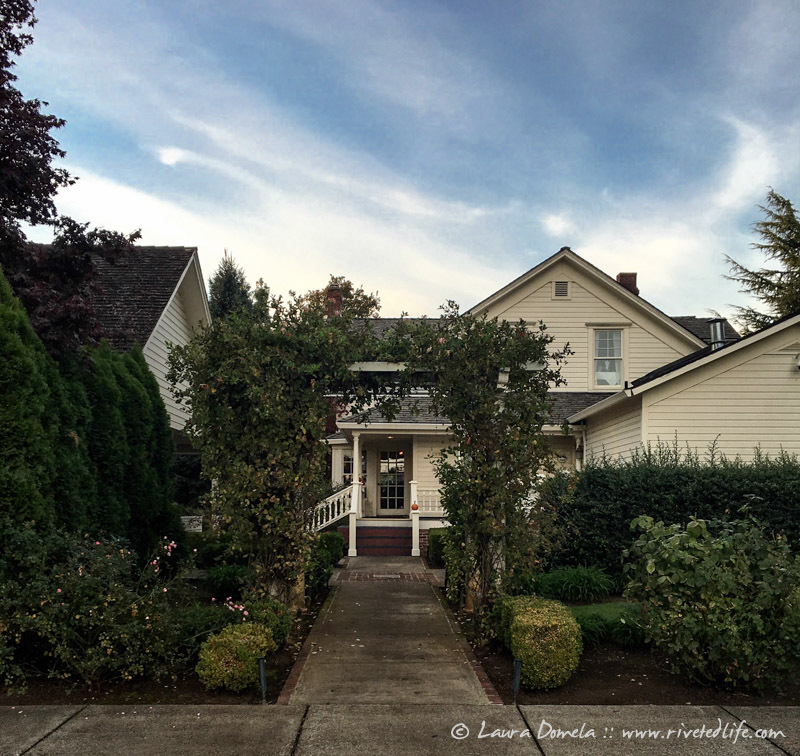 We really enjoyed several of their wines, and left with four bottles: a 2013 Willamette Valley Pinot Noir, a 2014 Viognier (served at the White House State Dinner a few weeks ago), a 2013 Oregon Syrah, and a 2013 Rubeo (70% pinot noir, 30% syrah). 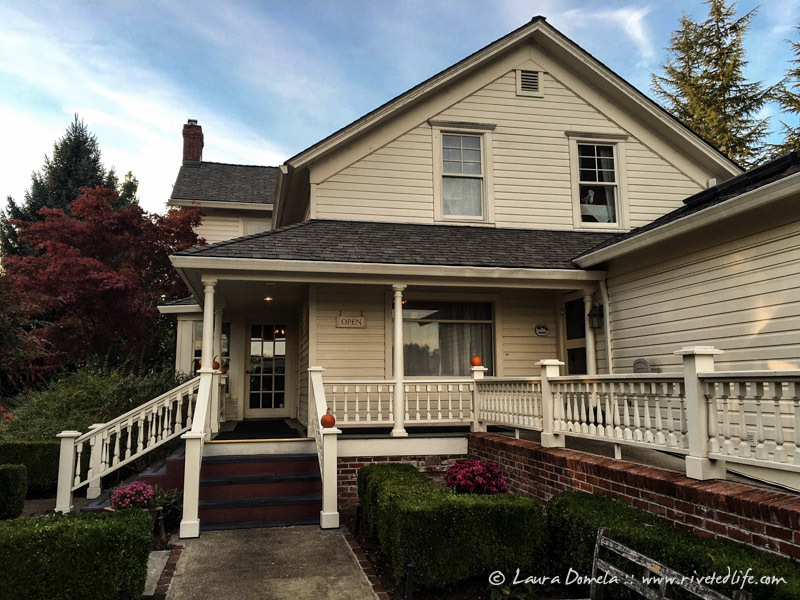 Dinner last night with the entire Hardersen family (table for 9) was at Ruddick/Wood in Newberg and was a blast. We always have so much fun with these guys. So. Much. Laughing!! 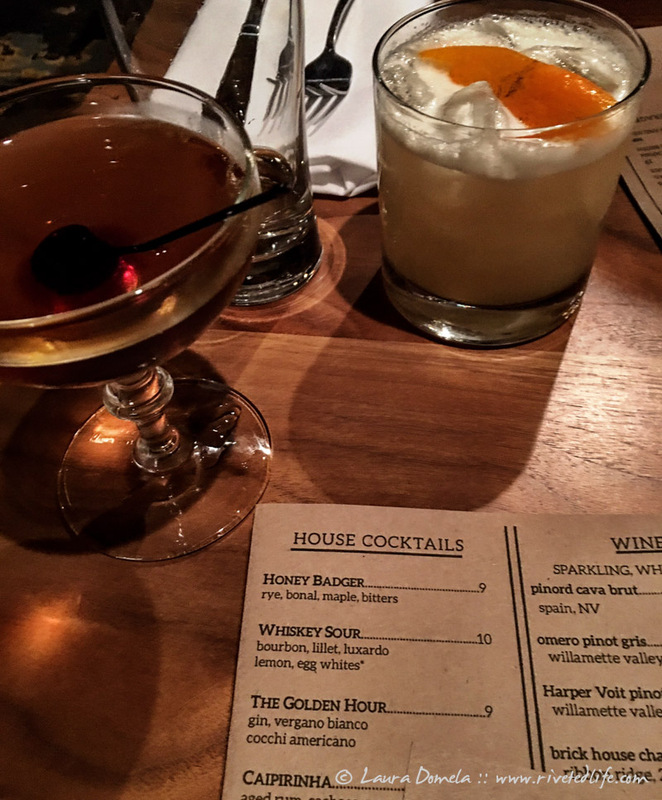 We started with a Honey Badger and a Whiskey Sour, and shared the duck confit hushpuppies (the winner) and a grilled octopus salad for starters, and the Fishermen's Stew and the Chicken Roulade (the winner) for entrees. Today, we've got some more friends (Lisa and George, in their Argosy motorhome) joining us here and we'll probably visit two more wineries today…maybe ride our bikes around a bit, and just spend more time visiting and catching up.